Trump Tower at City Center soars an unparalleled 35 stories above its surroundings. The views through oversized windows are unequalled, whether you're taking in the beautiful Westchester countryside, the majestic Long Island Sound, or the one-of-a-kind Manhattan skyline. Experience a stylish welcome as you walk across the lobby's elegant floor of alternating stripes of Crerna Marfil and St. Germain polished marble. Walls are clad in distinctive Trump Tower at City Center wood paneling. 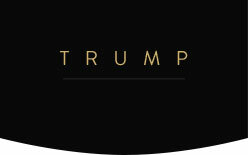 Trump Tower at City Center offers distinctive one, two, and three bedroom and penthouse homes. No detail has been overlooked in the design of these well appointed residences. From master suites, complete with spa-like bathrooms provide a tranquil retreat to full-featured gourmet kitchens that make entertaining a memorable experience. Every home is equipped with a fully integrated state-of-the-art communications network set-up.